Now Sony enters the super zoom lineup along side Olympus, with two offerings that build from the current Sony H2 and H5. The new H7 ($399) and H9 ($479) are basically the same, but the high-end H9 has a 3" LCD and 230,000 pixels, with a flip out feature, and the H7 has a 2.5" LCD static display. 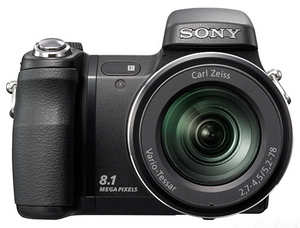 Both feature 8MP sensors and a 15x zoom, equalling 31-465mm and will ship in May. I'm not sure what Sony was thinking with the 31mm wide angle instead of the much more useful 28mm, but that's just Sony lately. Why not 28-420mm? It looks like Olympus is already one step up on 'em. Stay tuned as I work up a couple of Spec sheets for both cameras. Specifications now available here. 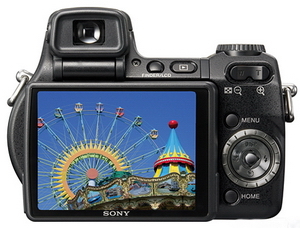 Amidst all the boring new point and shoot entry level cameras comes a breath of fresh air. 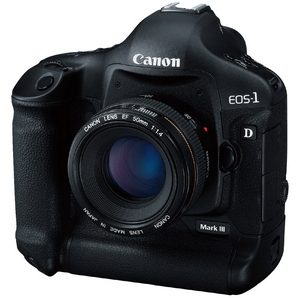 Canon announces the EOS 1D MK III. Don't expect a review anytime soon, or ever for that matter, as it'll retail for $3999, though at that price it seems to represent quite a value. Also announced were a new 16-35mm F/2.8L lens that's of course supposed to be better than the current one; a new speedlite 580 EX II flash unit and a wireless file transmitter. Once again, the closest I'll be getting to this camera is probably the pictures on the left, but there's a possibility of a lens review (16-35mm F/2.8L II) in the future. Below check out some quick specifications, full specification sheet here. A "live" preview mode, normal shutter operation though. 1.3x conversion factor, APS-H sized sensor. 10.1mp with dual DIGIC III processors. ISO 100-3200 and 50-6400 with extension. Integrated cleaning system-AKA dust reduction. 45 AF points, 19 selectable cross type, 26 assist points. 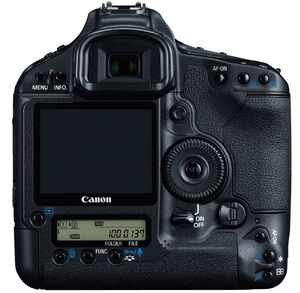 Billed as "the mother of all DSLRs" by me. Battery life of 2200 shots at 68° F.
6.6 x 6.2h x 3.1d. Well, things are somewhat quiet for the run-up to the Photo Marketing Association meeting in Las Vegas next month, so in the mean time I'll try to entertain you with some more boring snapshots. Look for more Lens reviews next month. Also, I'll try again for the massive traffic generator Sony Carl Zeiss 16-80mm zoom, but don't get your hopes up as Sony may push back the release date once again. Officially, it's still "spring of 2007" listed on the Sonystyle website. Attention Astronomy Lovers! 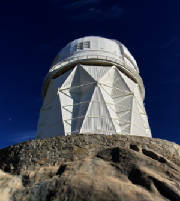 Last weekend I took a little cruise to the local observatory located about 60 miles west of Tucson in the Quinlan mountains, called Kitt Peak. For this adventure I pulled out the Nikon D40 with kit lens, plus my Sony a100 with the 11-18mm wide angle. I've got 25 snapshots with descriptions for those of you who have too much time on your hands. The weather was clear and warm on the desert floor, but a little chilly on the mountain top, which isn't all that high; 6875ft. Click here to begin the exciting tour.